Congratulations! 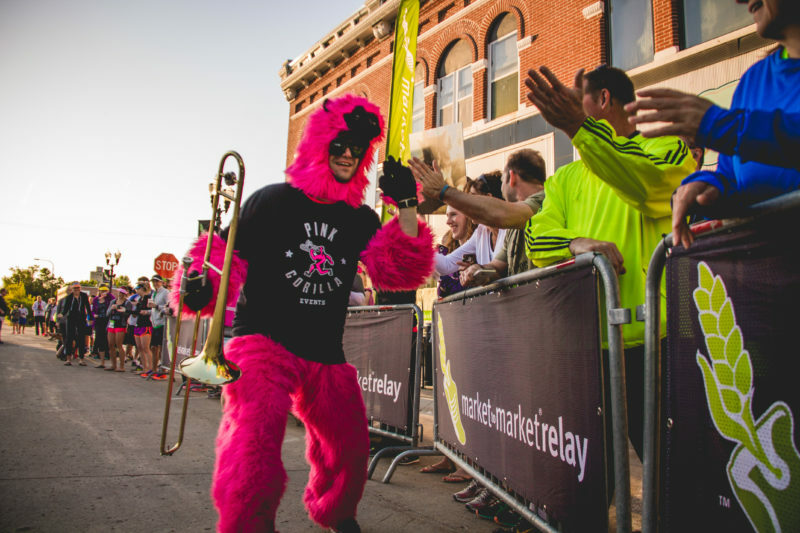 Your team roster has at least five runners registered and you’re ready to roll for the 2018 Market to Market Relay Iowa! This SOLD OUT race will feature 350 teams. You may be thinking… now what? But don’t worry, we’ve got you covered! 2018 Race Day Guide: The digital version will be added to the website and sent by email on 4/18/2018. You will receive printed copies for all team members at Packet Pickup. If you are a Market to Market Relay Iowa veteran, you will notice a few course modifications this year due to construction and improving the course. Stages 13 and 14 are new and provide runners a better experience through the Waukee/Clive area. Stage 15 has been altered because of construction on the Clive Greenbelt Trail. Our Finish Line has moved slightly due to construction on the Court Ave Bridge.